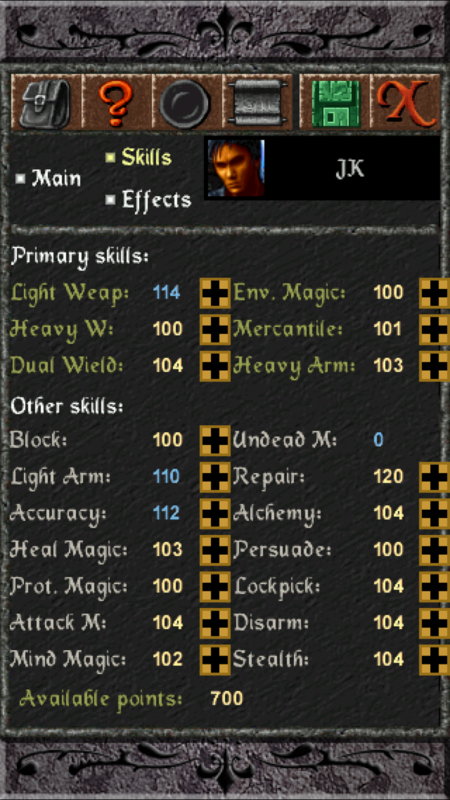 After I transfer my pdb save in Celtic doom to quest gold classic to continue playing, why I can’t add any points in skills? Have you raised the underlying attribute levels high enough? For example, to raise environment magic past a certain level, you have to raise intelligence. Also, it looks like you've hit 100 points in all your skills. You can't go past 100 points in any skill unless you raise the skill by reading books. You may have gotten those boosts from scripts. Sometimes, you could get them from tapping a wall, or as a quest reward. In the classic version of the Quest the limit for skill points is 100. All your skills are 100 or over. You can't increase them by leveling up, no matter whether you are playing the standalone game, the embedded game in the Quest or the embedded game in the Quest gold. 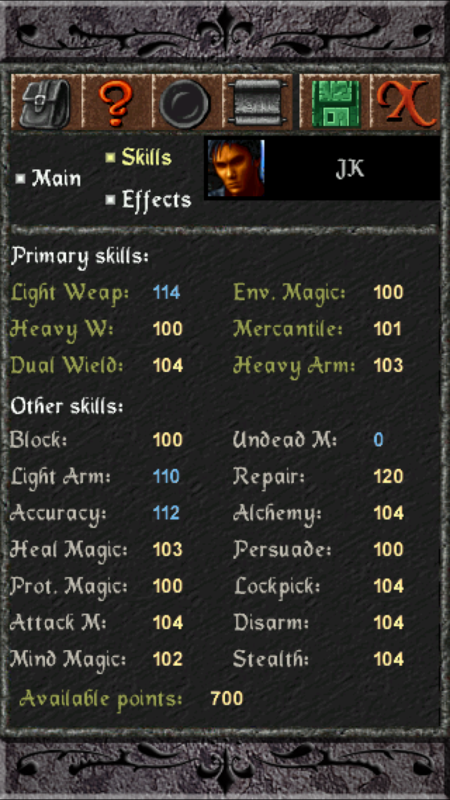 100 points is the maximum limit on skills that you can get by leveling up. If there is any bug, it would be an engine bug and you'd have to write elendil@redshift.hu to ask him that question. I have no control over engine bugs.